WARNING: If you cannot digest sad stories about childhood, stop reading now. It won’t get better in adulthood, so if you don’t like such stories either, just click here to look at calm views of Mount Fuji instead. 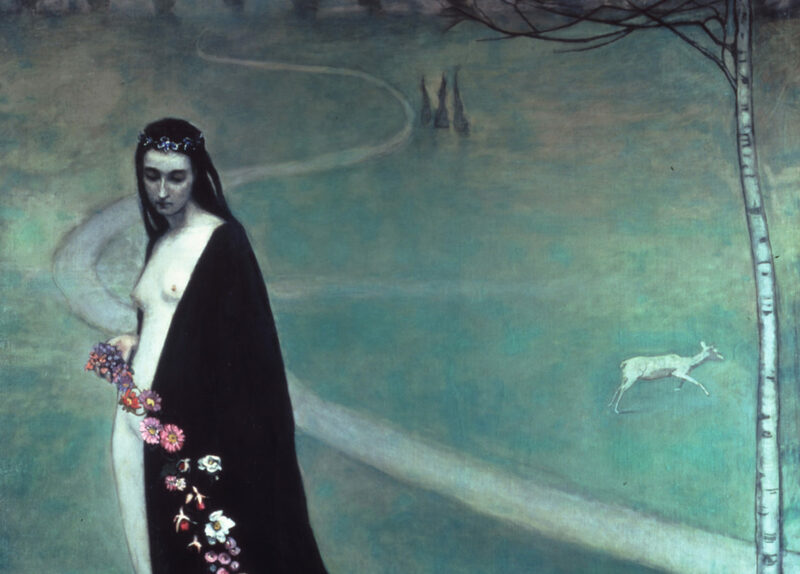 The story of Romaine Brooks might have been a story of success, luxury and easy life since she was born to a very wealthy American family (her grandpa was a multi-millionaire!). But it was not. 1. Her parents divorced – back then, in the 1880s, it still was a big deal- and her dad left her family when Romaine was very small. 2. Her brother was mentally ill and had a tendency to attack other people. 3. Her mother was abusive and mistreated Romaine (while lovingly caring for her brother), and when the girl turned seven she left her at a foster family. She didn’t send any money and seemed to have vanished. 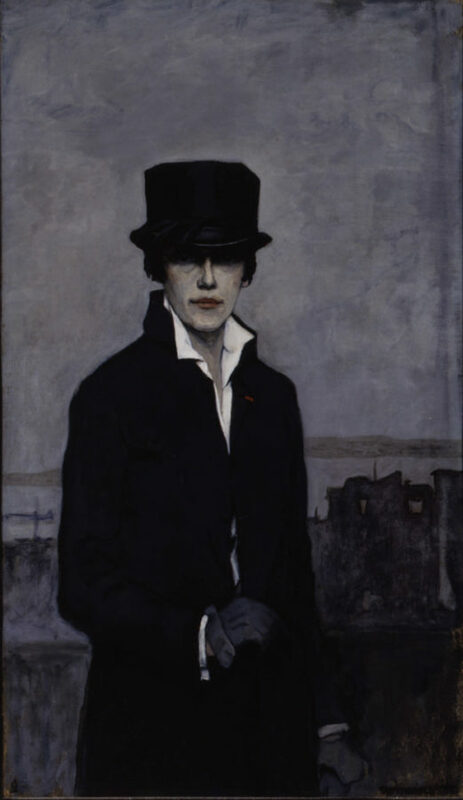 Romaine Brooks, Le Traject, around 1911, Smithsonian American Art Museum. When Romaine was 19, she decided to leave school and move to Paris. She sang in a cabaret for a little bit and then moved to Rome, city where she was born. She attended an art school where she was the only girl in her class. Boys harassed her sexually and laughed at her drawings. She moved to Capri because it was much cheaper to live in, but despite that she nearly starved herself and suffered a physical breakdown. 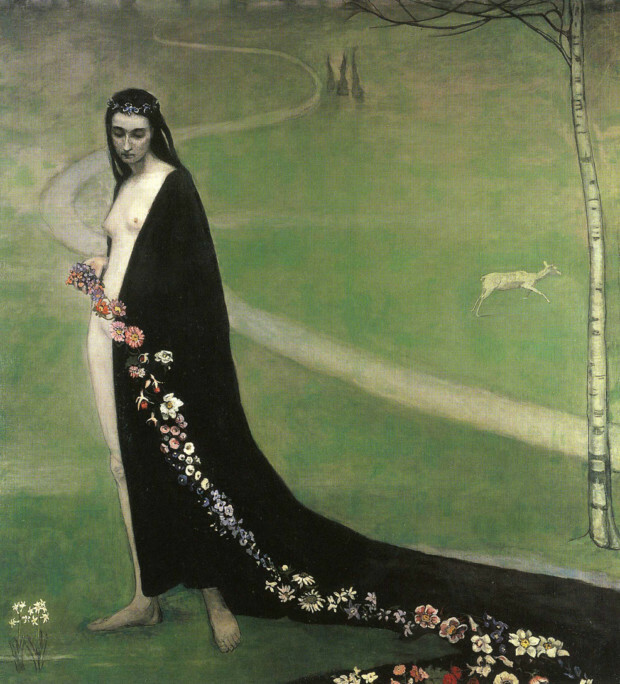 Romaine Brooks, Femme avec des fleurs, ca. 1912. In 1901 her brother died and so did her mother a year after. In 1903 Romaine married her close friend John Ellingham Brooks, a homosexual pianist and translator who was in financial trouble. They fought from the beginning because John didn’t approve Romaine’s masculine style (she cut her hair and dressed like a man), so she left him after a year and moved to London. Romaine herself was bisexual and had a love affair with a dancer Ida Rubinstein but they also broke up. 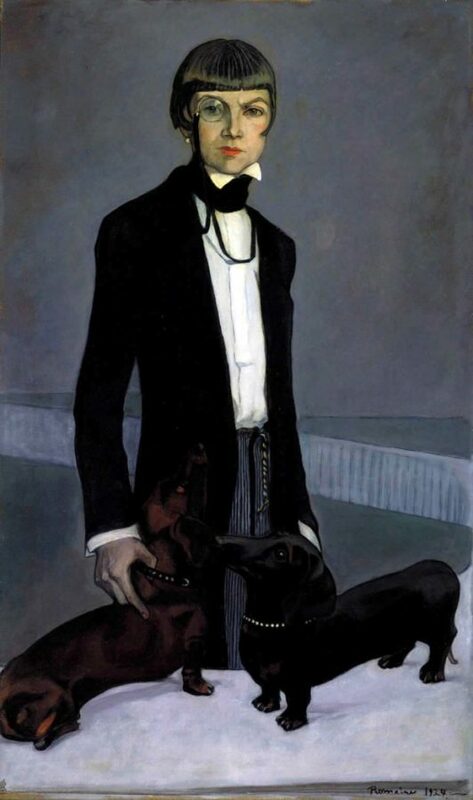 Romaine Brooks, Self-Portrait, 1923, Smithsonian American Art Museum. Not only were her looks controversial, her painting didn’t suit the times either. The beginning of the 20th century was the era of colourful Fauvists and geometric Cubists. 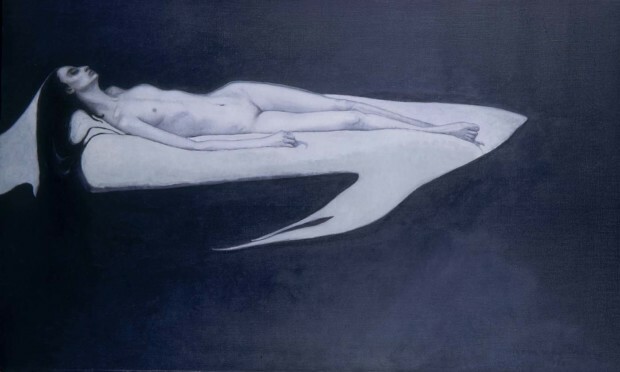 There was no room for Symbolist and depressingly grey and gloomy paintings which were moreover painted by a woman! And what kind of women did she depict: strong, independent and very masculine! She didn’t sell much. She never published her memoirs on which she worked most of her adult life. She entitled them as No Pleasant memories. When she was 85, she admitted: “My dead mother gets between me and life.” With time, Romaine became paranoid about her drawings, thinking that somebody was going to poison her and steal them. She became reclusive and was able live in a darkened room for weeks. She died at the age of 96.